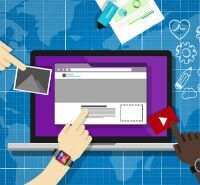 Wix vs. WordPress: Which Website Builder is Better For You? There are major differences between these two leaders in the website building field. We break down their pros and cons to see where each excels. 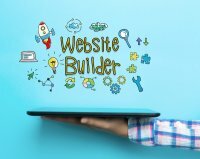 If you're starting a website, you'll likely be faced with the choice of using an open source platform or opting for a drag-and-drop do-it-yourself website builder. WordPress is by far the most popular open source platform, while Wix​ is the most advanced of the DIY website builders. In order to help you determine which of these website building options is best for you, we're going to compare some of their key characteristics. For those of you who would rather not get into all of the details, we'll cut to the chase and tell you that Wix is the superior platform in 4 out of the 5 categories we checked, particularly for beginners. If you're interested in the details, and want to know what each platform has to offer, read on. Wix offers a free version, as well as 5 premium pricing tiers. 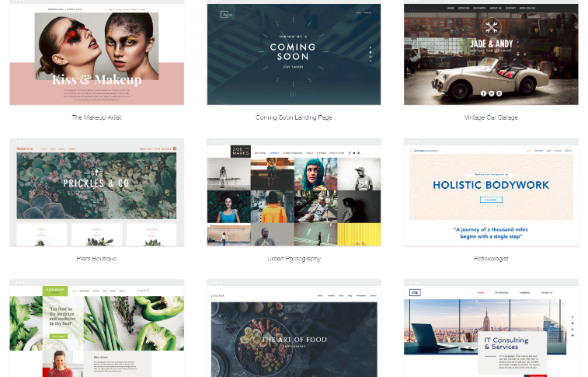 The free version gives you access to all of Wix's templates and allows you to customize your site with its drag-and-drop editor. Additionally, with all of Wix's plans, including the free plan, you can opt to build your site with Wix Artificial Design Intelligence (ADI). Wix ADI builds your site for you, including providing content, in a matter of minutes, just by asking you a few questions about your site's purpose and style preferences. While Wix's free option is a good way to play around with the drag-and-drop editor, you'll have to opt for a paid plan in order to have a truly viable website. With the free plan, you'll have to deal with Wix ads on your site, and, more importantly, you won't have your own unique domain. 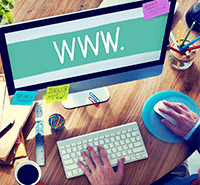 This means that rather than having a website address such as www.mysite.com, your domain will include a wix marker, like username.wixsite.com/sitename. To connect your own domain, you can go with Wix's Connect Domain plan, which costs $4.50 per month for an annual subscription. However, this plan will still include Wix ads on your site. The most viable Wix plans are its top 4 premium plans, the Combo plan, for $8.50 per month, the Unlimited plan, for $12.50 per month, the Ecommerce plan, for $16.50 per month and $24.50 per month for the VIP plan. All of these plans include a free domain. The more advanced tiers give you more storage and bandwidth. ‌In order to sell goods and accept payments on your site you'll have to opt for the Ecommerce and VIP plan. WordPress doesn't have monthly plans, but there are costs associated with using the platform that can actually add up to cost you more than Wix. In order to make your WordPress site live, you'll have to sign up for a hosting plan, which likely will cost you a minimum of $8 per month, and you’ll have to pay about $15 per year for your domain. Whereas all of Wix’s templates are free, WordPress has both free and paid templates. The free themes are not as attractive and they are not supported like the paid themes are. Theme prices vary, but on average are about $50. To add features to your site, such as forms and user comments, you may have to pay for additional plugins. 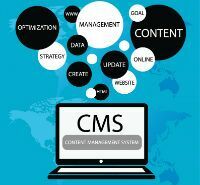 If you are not very tech savvy, you may also have to pay for a WordPress contractor to help you setup and update your site. Wix has the advantage in the pricing category with plans that are likely to cost you far less than you would end up paying for an average WordPress site. It would seem that Wix was made with ease of use in mind. The platform caters to beginners who have no coding knowledge or website design experience. The drag-and-drop editor is highly intuitive and ADI is even easier. You won’t need any help building or updating your website with Wix. WordPress, on the other hand, is best suited to someone who knows rudimentary HTML and CSS. If you’ve never used an open source website builder, even if you are somewhat tech savvy, it will take some time and energy to learn how to use WordPress. 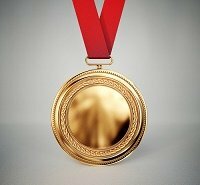 In fact, many people hire someone to help them customize their theme and update their website. These are all skills that you can learn if you put your mind to it and dig into the thousands of documents on using WordPress on the internet, however, you should be prepared to invest some time in the process. This is WordPress’s forte. The platform’s open source nature means you have no limitations in how you can customize the theme you choose and change your site. With some HTML and CSS knowledge you can arrange the elements of your site exactly as you please and there are several plugins that you can add, some for free and some for a fee, which allow you to add an array of features to your site. Wix also allows you to customize the templates you choose with its drag-and-drop editor, but your options are not as extensive as WordPress’s because you are not actually changing the code of the site. 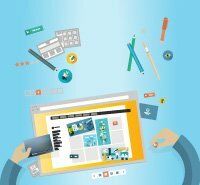 Wix allows you to add features to your site from its app market, although it doesn’t have as many plugins as Wordpress. 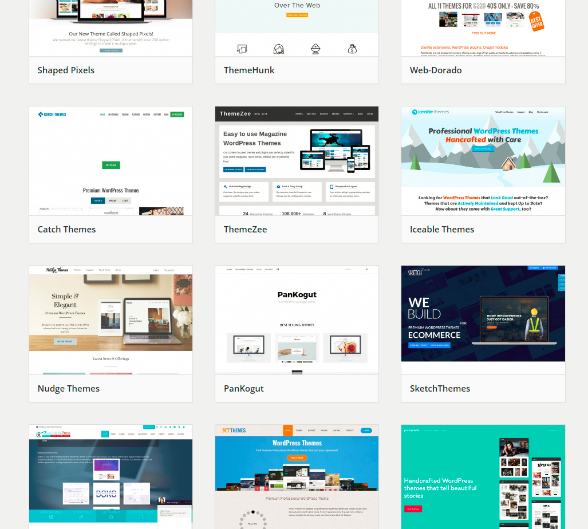 WordPress has a number of free themes to choose from. However, if you want support and updates to keep your theme working optimally, you’ll likely want to opt for a paid theme. Third party WordPress contractors offer themes at varying prices, although on average a theme will cost you about $50. There are many options for mobile responsive themes, both among the free and paid offerings. 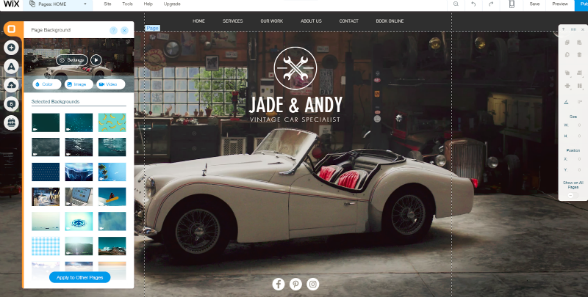 Wix has hundreds of templates, all of which are free and mobile responsive. Unlike with WordPress themes, there is no concern of a theme that is not updated causing glitches to your site. Wix has a wide variety of themes for businesses, online stores, portfolio websites and blogs. The website builder’s theme design is professional and visually impressive, and you will be able to customize fonts, add sections and pages, change background colors and other customization options. Wix gets the edge here because all of its templates are free, mobile responsive and professionally designed. With a WordPress site you have to learn to be self sufficient and solve problems on your own. There are endless tutorials and forums for WordPress users to get information online, but it can be difficult to sift through it all and find an answer to a specific question. You may need to hire a 3rd party WordPress contractor to help you when you have technical questions or issues. Wix has a well-organized help center with video tutorials and FAQs, and if you don't find an answer to what you're asking, you can also submit a ticket or request a callback from Wix's call center, Monday through Friday, 6am to 5pm Pacific Standard Time. Once again, Wix is the winner in this category, with guaranteed premium support included with all of its plans. 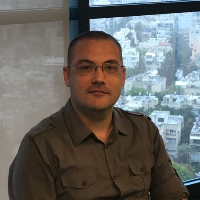 With wins in just about every category, Wix is the obvious champion of this battle, and is highly recommended as the preferred choice for non-expert users. WordPress gives users a lot of flexibility with its open source platform, however, only those who know what they’re doing will be able to get the most out of it without hiring a professional contractor to help them. Wix is an ideal solution for a beginner who wants a professional site at an affordable price.